Since Briabay launched in June 2015, it’s been an amazing journey of support. We continue to be so appreciative of the Briabay community and have been looking for a way to give back. 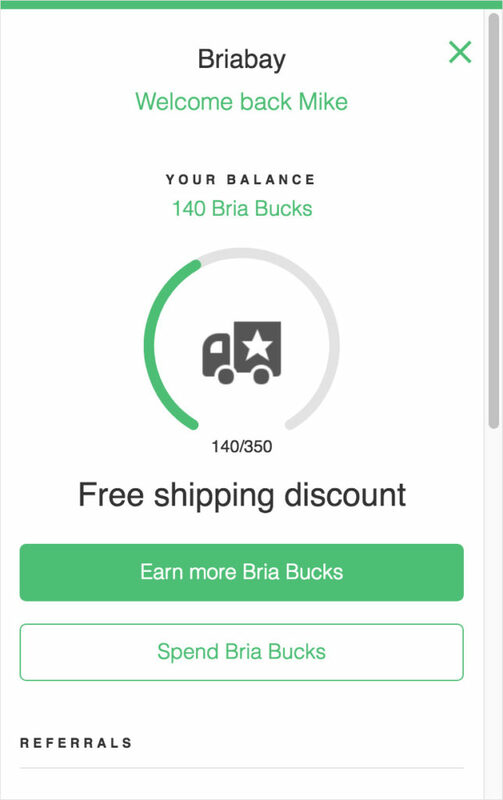 We are so excited to introduce the new Briabay Rewards program, which consists of 2 parts, Bria Bucks and Referrals. Bria Bucks can be redeemed for special Briabay savings that can be earned by completing different tasks such as liking, sharing and purchasing Briabay products. 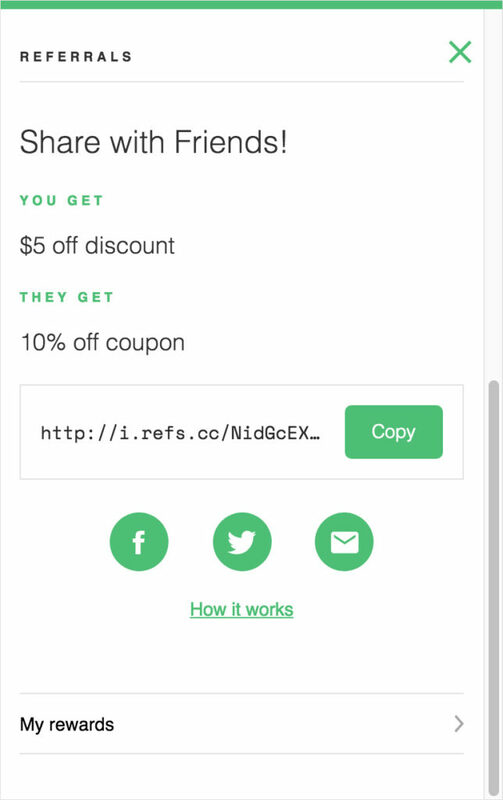 Referrals are custom links, specifically for you, that can be shared with anybody that doesn’t have an existing Briabay account. If they make a purchase after clicking your link you will receive a $5 off reward and they will receive a welcome 10% off. When you visit https://shop.briabay.com, you will see a green “Briabay Rewards” button in the bottom right corner. When clicked, you will be prompted to login or create new account. Once logged in, you will be shown your current Bria Bucks balance and the next available reward. Learn how to earn more Bria Bucks and see what rewards are available to be redeemed by clicking the Earn and Spend buttons. If you scroll down a little further you will see your very own custom referral link. 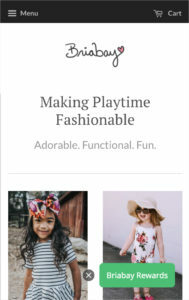 Share this link with any of your friends and if they buy after clicking it you will be rewarded with $5 off and they will be given a welcome 10% off! Socially on Instagram, Facebook, Twitter, Snapchat, etc. We just ask that your links NOT be shared in the Briabay VIP Facebook group. We are happy to be able to offer this program and we would love to hear any feedback you have.